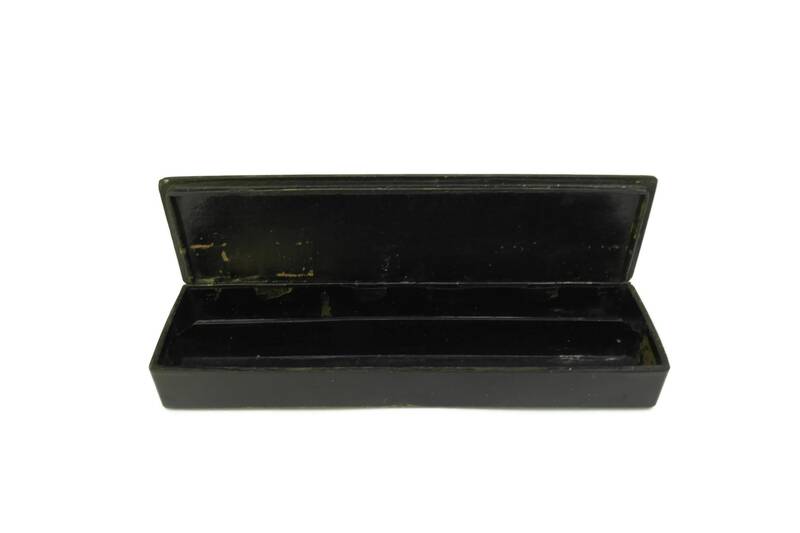 Antique Black Lacquered for Fountain Pens and Pencils Box. 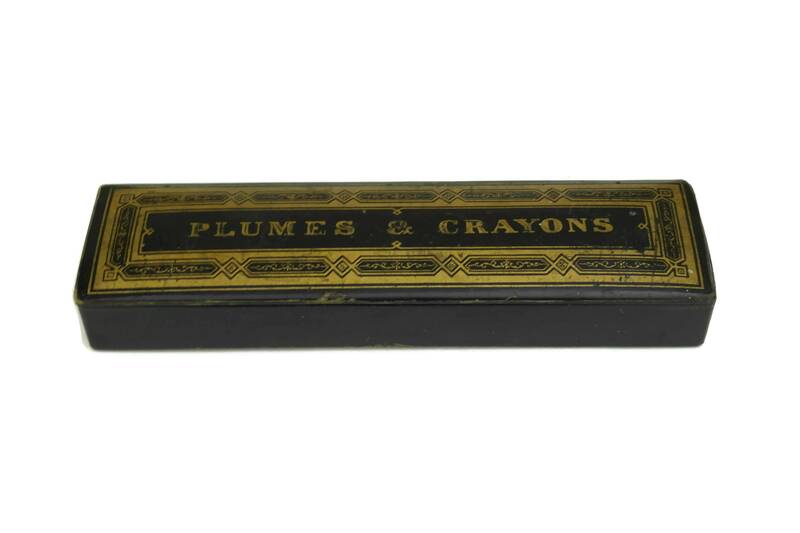 French Plumier. 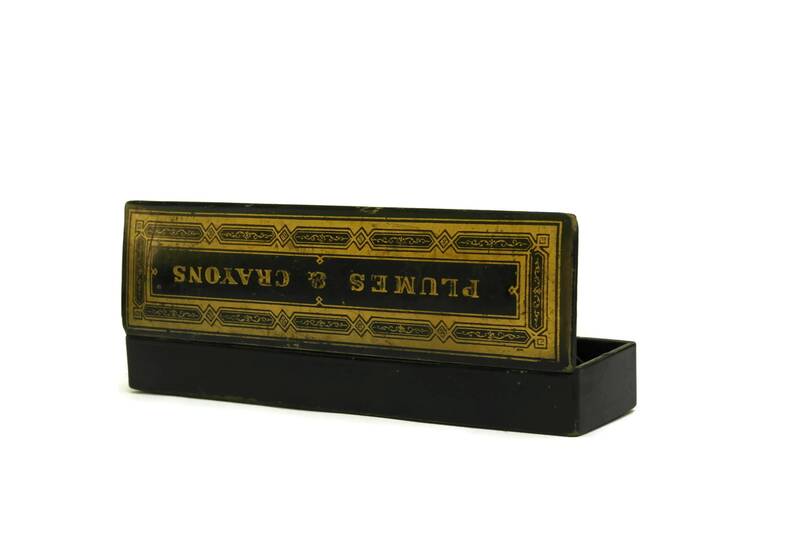 Napoleon III Lacquer Pencil Case Holder. Office Desk Decor. 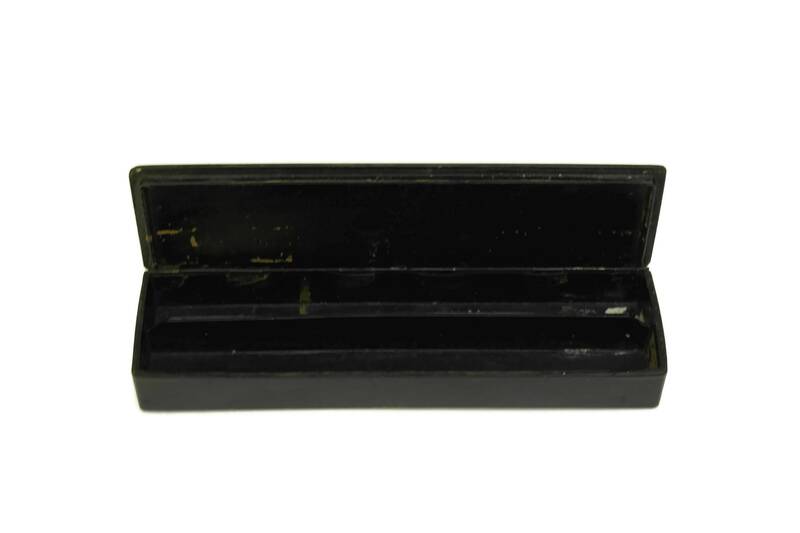 A beautiful antique black lacquered French fountain pens and pencils box dating to the Napoleon III era. 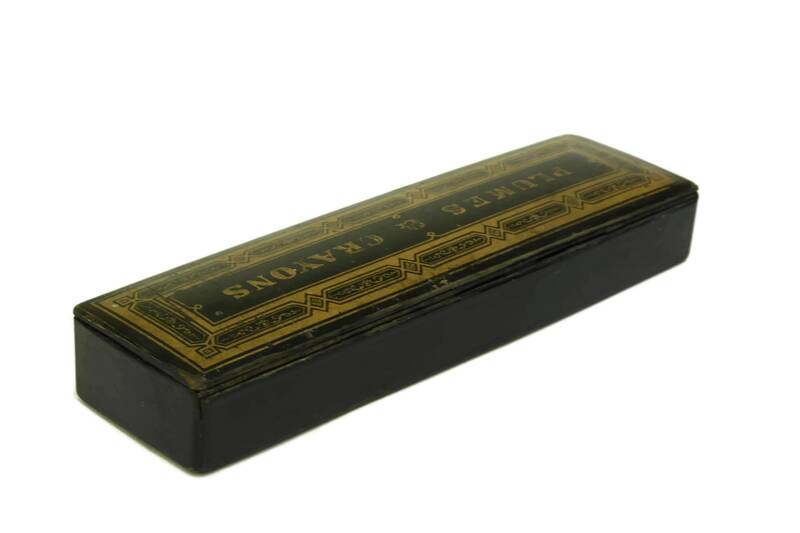 The pencil case holder has been made from black lacquered papier mâché and wood with gold accents. 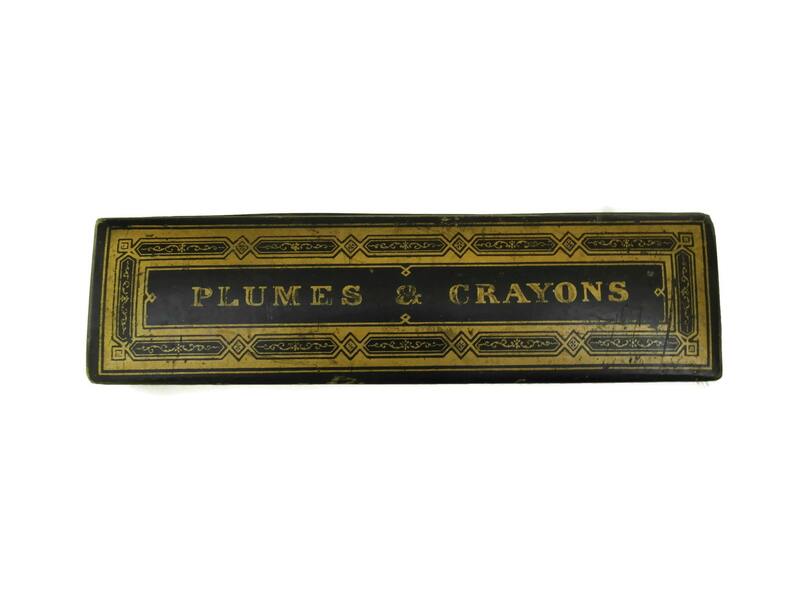 The lid has a long piano hinge and has been decorated with an ornate gilt border with the French lettering "Plumes & Crayons" (fountain pens & pencils). 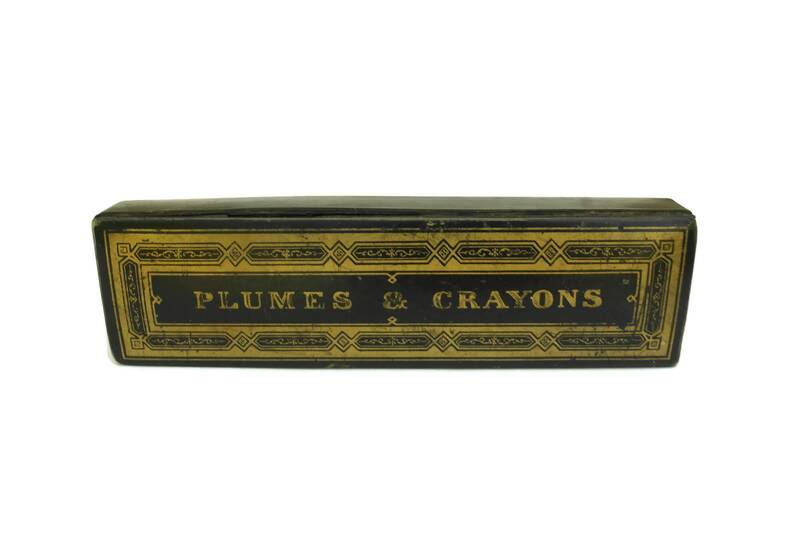 It opens to reveal 2 compartments for storing your stationery. 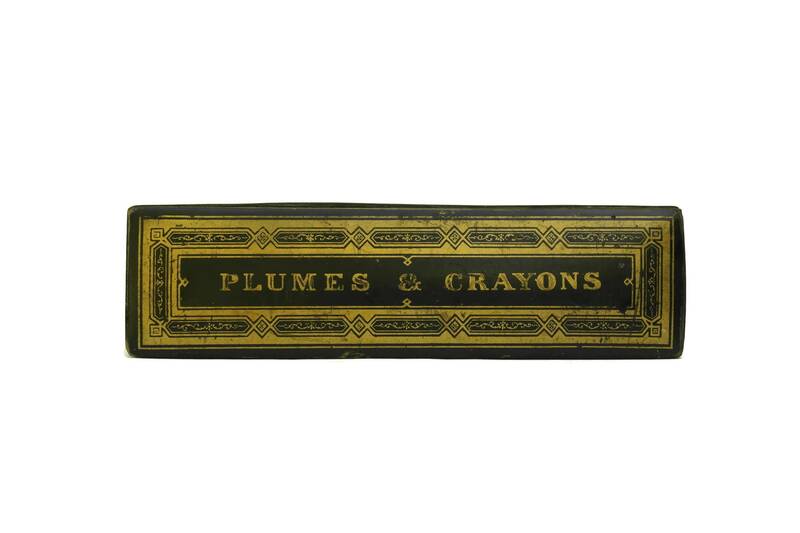 It will add a great antique accent to your office desk decor. 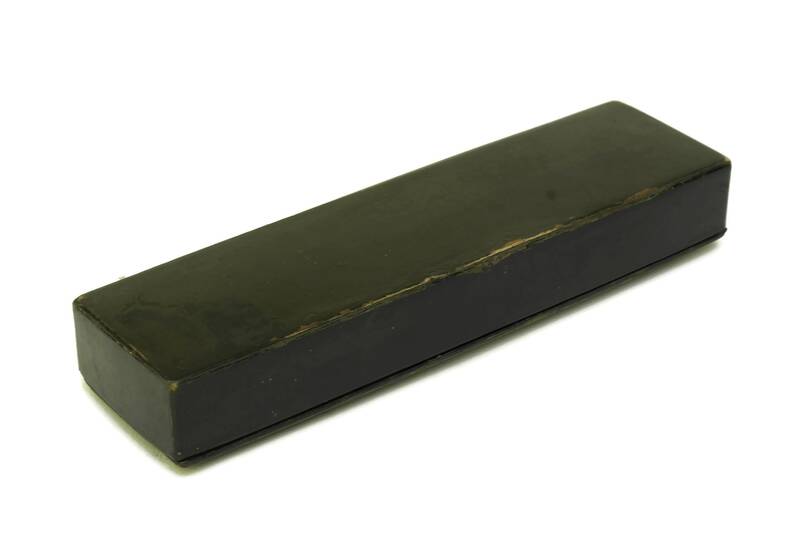 8 1/2" long x 2 1/2" wide x 1 1/4" high (21,5 cm x 6 cm x 3 cm). 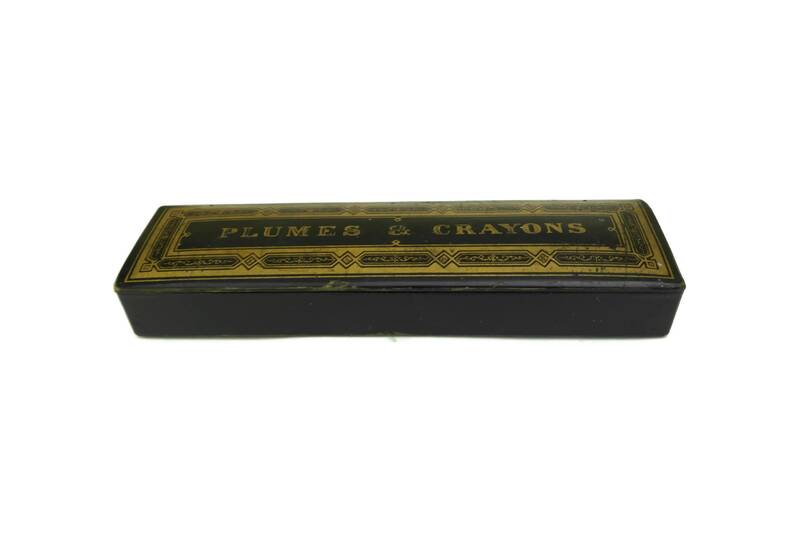 The French plumier is in good antique condition with some signs of age and wear including light surface marks, scratches and small flakes to the black lacquer in places. The gilt decoration has worn away in areas.